Are you searching for genealogical information about Finchingfield family names? Or are you looking for some specific facts about the village and its people, past and present? If so, you may find something useful here. I haven't done any genealogical research myself, but many people have. If you would like a message to appear on this page, either offering or requesting information, please get in touch and I'll be pleased to add it. Please let me know if you find any dead email links. Click on the names and numbers below to find entries for each name. Use the arrows pointing up to return to the list. SULLENS - back to 1797. Denise would be happy to exchange information with anyone researching these names. "I have a genealogical interest in the village in that my great-great-great-great-great grandfather James HARRINGTON was born there in c.1742. I have a lot of information on the name Harrington in the village and also in Wethersfield where he moved to. I'd be happy to pool information." "I am interested in any information about the ancestors and descendants of David HARRINGTON b.26 Sept 1845, d.March 1929 both in Little London, and his wife Mary STOCK b.1853 Birdbrook d.April 1939. 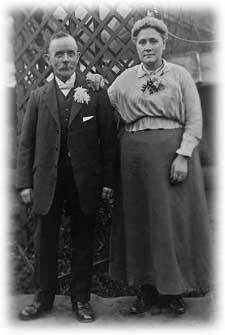 They were married 30 Nov 1872 in St John the Evangelist, Cornish Hall End. Their children were:- Mary Jane b.1873, Elizabeth Emma b.1875, Jessie b.1878, John b.1880, Alice b.20 Nov 1881, George b.1886, Albert b.1889, Frederick b.1892, Edith Florence b.1894 and Arthur b.1896. I am interested in the descendants of the children to the present day. Alice was my Grandmother. I have some information already and a few old photographs." "I'm searching for info about Thomas HARRINGTON who was of Finchingfield when he married widow Anne LINSEY in London in 1577. Anne Linsey was of Althorne. "They became the parents of Alice Harrington who m. John MOTT, the parents of Dorothy Mott who m. John TALCOTT of early New England (Connecticutt). Searching for Anne Linsey's maiden name." "I have a great-grandfather, Frederick William DREW, who was born in Finchingfield in about August, 1859. His parents were John and Susan. He married in London in 1882, had two sons (1883 and 1884), was widowed in 1884, and then immigrated with the two sons to South Africa in about 1894. I have records of him and all the South African relatives but am looking for English connections!" "GILBY and GILBEY are the principal names I am researching. The oldest GILBY name on my tree so far is Edward GILBY who married Elizabeth CLEMENTS at Finchingfield in 1732. I have an ever growing database of GILBY / GILBEY names, seems there were a lot of them in the area in the past." "I am researching my GILBY family from Finchingfield. My tree begins with Edward Gilby (1709) and Elizabeth CLEMENTS (1709) both from Finchingfield. Has anyone any information regarding Harriet Sparks ARNOLD (1817) who married Samuel Gilby (1818). Her father, John Arnold, was the Blacksmith in Finchingfield. I would like to hear from anyone who can give me her siblings, her children or any information regarding the Gilby or Arnolds please." "I am trying to trace my grandfather's family. He was Frederick GILBEY and, according to my mother, born in Finchingfield. The story goes that his father went to India as a lay preacher and met and married an Indian girl out there. They moved back to Finchingfield where my grandfather was born. I think that he may have had a brother called John and possibly a sister called Carrie. He would have been born around the 1880s." John born about 1737 married Mary RICHARDSON. Simon born about 1791 married a Mary ?? William born 1817 married a Hannah SAYNES. "I am searching for more information concerning my ancestors, the Balls family of Finchingfield. Henry BALLS (b. 1835) married an Eliza (b. 1839), both from the village. They had four children Sarah (b. 1862), Auther (b. 1866), Harry (b. 1870) and Emma (b.1858), all born in Finchingfield. In 1881, the family were living at No 1 Poulters (or Poutters) - does that address still exist?" "I am researching the BALLS family from Finchingfield, and my family line is connected to the same line that Nicola Lynch and David Turner are researching - we have discovered that David and I are 4th cousins once removed. "John Balls born about 1737 married Mary RICHARDSON. They had 9 known children of which one was Simon born about 1791 who married a Mary ? ?, this is the line Nicola has researched. Another son, John born in 1777 married Sarah and they had 6 children including Thomas my 3rd great grandfather and David Turner's 4th great grandfather. I also have lots of information on the Balls and CLAYDON (or Clayden) families from Finchingfield and nearby locations like Steeple Bumpstead and Hempstead and would be happy to hear from people with similar research interests." "My GGGG-grandmother was Eleanor BALLS (born 13.5.1781, married Samuel CANT 29.5.1804, died 9.3.1862, all these in the Northern Parishes of Essex). It took me a very long time to find her birth! I am now looking for details of her parents, Thomas and Susannah. Their marriage, which I expect to be about 1768, is not on the usual indexes so I am beginning to think I am in for another long haul. I was wondering if anyone might have come across this event. I am happy to exchange any information I have or to help look for anything that is causing anyone a problem. "At the moment I am only looking for my pedigree lines, so am only pursuing the main 'branches'. I do however have two contacts who are looking for the 'twigs' as well. I can put anyone interested in contact with them." "I would be very interested in talking to anyone who may have any connection with the families below, particularly the CRACKNELLs. "The Census records of different years show that Charles CRACKNELL b c.1813 was born in Finchingfield or Birdbrook. The LOPPINS identified as the birthplace of some is now known as LOPHAMS farm which originally had farm cottages, nearby. "George CRACKNELL b 1849 is my Great Grandfather who moved to Middlesex from Essex to become a policeman with the Metropolitan Police." Charles b 1813 by up to 10 years. Added August 2009: From Victoria Kidd: "I am trying to find a Jane HALL and John CRACKNELL both, I am told, were born about 1848 in Finchingfield. They married around 1870 in Finchingfield and had a child called James Cracknell who was born 24 September 1876 in Kedington. "If anyone can help I would be most grateful and thank you for taking the time to read this cry for help." "I am tracing a branch of my family which has lead me to Finchingfield and would be interested in sharing information on the CARVER and COWEL families. "Robert Carver married Jane Cowel at the church in Finchingfield on 31st December 1842. Both were living in Finchingfield at the time of their marriage. Their parents were Robert Carver and Thomas Cowel." "I am looking for any information about the ASHBY family from Foulslow Farm Cottages, Cut Hedge, Finchingfield. Was there a baptism of Willie Ashby about 1865, son of Peter and Sarah? They then moved on to Shalford." "I am searching for information on Thomas ROBINSON (sometimes spelt ROBERTSON) and wife Sussanah DARE who married (in 1837) and lived in Finchingfield. Thomas was the son of Edward Robinson. Sussanah was the daughter of William Dare. "In the 1861 census Thomas was 44, Sussanah was 43, son William 21, Thomas 15, Elizabeth 12, Marianne 6 and George 7 months old. Parents and children all born in Finchingfield. "Sussanah died in 1868 at Braintree. George was my great grandfather, nothing is known of the rest of the family. "Other names associated with the Robinsons and Dares are HEARD, GILBY, STOCK, RIDGWELL, JUDD and BROYD. "Any information very much appreciated." "I am trying to find information about the Robinson family of Finchingfield and keep coming up with brick walls. "I have Thomas ROBINSON (1816-1884) who married Susanna (Susan) DARE and they had a son George Robinson born 1859 in the Village, Finchingfield. George was the youngest of 9 children all born in the village: Susanna; William; Alfred; Thomas; Thomas Henry; Elizabeth; George (died); Mary Anne and George. "I would appreciate any help with this family please." "We have found family in most of the surrounding villages, Stambourne mainly, as well as Finchingfield. We also have some info on quite a few of the local names, including ARGENT, MARSH, MARTIN, METSON, OVERETT, PARTNER, PEACOCK, RAYMOND, REVELL, THOROGOOD, WINCH as well as some others, mainly through marriage. "We are actually stuck looking for the baptism of WILLIAM WESLEY 1782 and his wife MARY BEVIS baptism 1785, also EDWARD WESLEY (slightly earlier time period), who married a REBECCA, amongst others. "If anyone has come across any WESTLEYS/ WESLEYS, we would be most grateful if you could contact us. "We are also happy to share any of our information." "I would like to contact JANE CRAWFORD, daughter of Tony and Pat Crawford who lived at Justice Farm outside Finchingfield. We lived next door to her parents before she was born and I have two letters from her mother and wonder if she would like to have them. "Also, if anyone remembers me from Finchingfield or Margaret Tabor school in Braintree (1960-1962) I'd like to hear from them. " "My father ROBERT PALMER was born at Coleman's Farm, just outside the village, in 1918. His father, also Robert Palmer, had moved there from Cambridgeshire shortly after the turn of the century. There he married Edith Irene Barnes of Birdbrook, a schoolteacher at the time. Dad attended the village school. They left in the late 1940s when my dad was serving in France and his father died. Ever after they lived in Braintree. Dad died last year. I would be interested to hear from anybody who might recall Coleman's and Finchingfield during that time and might have known the family." "I am looking for information on my husband's great grandfather, Walter Edward SAMMES, who was born in Finchingfield in about 1851. Walter married in Lambeth in 1874 and his father is described on the marriage certificate as Shadrack Sammes (deceased), farm bailiff." "I am looking for any information on a family of HARTS who lived in Finchingfield in the early to mid 19th century. My great-great-grandfather, Thomas Hart, was born in Finchingfield in August of 1845. He emigrated to the US in 1860, with what looks like his mother, Mary, and a sister, L.H. His father's name may have been Thomas also. Have already sent for his birth registration, but am interested in marriage of his parents or death of his father. Will pay for any costs for photos etc." "I have been researching the PASK/PASKE families since the early 1980s and have a One-Name Study website. I have been recently collaborating with a fellow researcher on the PASKE branch that had their roots in Finchingfield. In particular these were the families of George PASKE, and his son William, who I believe were vicars of Finchingfield. They had large families who were baptised, married, and buried in Finchingfield." with links to other localities: Wicken Bonhunt, Newport, Debden, Good Easter, Aythorpe Roding, Black Notley. "Dates so far from about 1750s to 1900s. "The Finchingfield connection is specifically with Jekyll's Farm. I have information from wills and registers and would be happy to exchange information and to hear of anyone with similar interests." Thomas PURKISS who was from Hempstead and married Sarah RICHARDSON in Finchingfield on 25 December 1792. Banns were read for the marriage and I wonder whether there is any indication in the records of the names of his parents or address." Added April 2004: A member of the BROYD family is starting a website devoted to this name, which appears in the records of Finchingfield and other nearby parishes. She writes that she is preparing her website as a base for Broyds and Broyd-researchers, partly to see if it's of any use to anyone and partly to establish contact with her distant relatives. You can make contact via the site. This group outside the Fox, c.1933, includes a Peter Broyd at the back. Also standing are George Suckling, Fred Deare, an unknown lady and Chris Sewell. Seated are Sammy Deare, Fred Townsend, Bill Saines and Walter Green. "I have an Ellen BROYD born 1848 in Finchingfield (parents were Abiatha(r) Broyd b 1824, Wethersfield, and Martha ASHBY b 1829, Finchingfield) as appearing in the 1851, 1861 and 1871 census. "I am however struggling with the parents of Abiatha(r) Broyd as the name seems to change to BROID. I have his parents as James Broid (b 1798, Wethersfield) and Anne ????? (born 1808, Wethersfield). In the 1841 census it appears that his mother is living with them (Prudence Broid b 1776, Wethersfield). "I wonder if anyone can shed any light on this or give me some direction." Added June 2012: Broyd again: John & Frances Canham write from Ballarat, Victoria, Australia. "My Grandmother, Emma Sarah BROYD was born in Finchley in 1891. Her father, Archibald John Broyd b 1868 Finchingfield m Sarah Harriet DAVIS b 1866. His father, Joshua Broyd b 1843 m Emma TOWNSEND b 1842. His father, John Broyd b 1806 m Mary??????? b 1806. His father, Edward Broyd ( we think) b 1782 m Susan WIFFEN b 1789. "Thats as far as we have got as we have done little research so far on the Wiffens, Townsends and Davis Families. So if any one has any connected information or wishes any information, then please contact us." "I am researching the LEGERTON/LEDGERTON family who were in Finchingfield from the seventeenth to twentieth centuries. I have amassed considerable ammounts of information which I am willing to share and would also like to hear from anyone who can add to my knowledge. Other names of interest are DAVIE, ALLEN and WINTERFLOOD"
"I, too, am researching the LEGERTON family - my husband's grandmother. I have a lot of info back to 1600s. There is also a Legerton part of the tree in America if anyone is interested. Any information will be gratefully received or if I can help any others searching in this field please get in touch." "My great grandmother, Ellen WIFFEN was born in Finchingfield in 1860. "From Ellen's birth certificate her parents were Edward Wiffen and Ann FREEMAN who married in 1851. "Edward's father was James Wiffen and I believe his mother was Susan COE. Ann's father was one of several possible James whom I have yet to confirm. As yet I have no information on her mother. I would be most grateful for information on any of the above or their families, or their lives in Finchingfield." "My gt gt grandfather James WIFFEN was born in Finchingfield in 1825, the son of Thomas Wiffen and Susanna Baynes. He married a Panfield girl called Emma possibly about 1867 and they had at least three children (Eliza, Joanna and Walter), perhaps six (daughter-name unknown; born 1852, Elizabeth and Sarah Ann). In the 1861 census for Panfield I have found James listed as a widower living with his son William aged 17. "Does anyone know who James' first wife was? And might he have had a second wife before he married Emma? I would be most grateful for information on any of the above named." "I have recently discovered a family link with Finchingfield, after 13 years research. I am now looking for information about Elizabeth CLARKE and John NOONE, who married in 1783 in Finchingfield. John is incorrectly recorded on the International Genealogical Index as John MOORE. Any help would be appreciated." "My search is looking at the family surrounding Josiah TOWNSEND. He was born around 1852, his father was named John Townsend. Josiah married Priscilla DOE on 26 October 1872 at the Church of St Johns Finchingfield. Her father was William Doe. In 1881 the family were residing at Chaple End Houses, Finchingfield, Essex. There are also records showing that they resided in Ugley around 1901. "I know that Josiah and Priscilla had at least three children, Lizzie, Mary Ann and Frederick. Lizzie was my great-grandmother. "I am interested in any family history relating to both families and also the house they were living in." "I am researching the TOWNSEND family in and around Finchingfield and would like to get in contact with others to exchange information. Though my research is concentrated on the TOWNSEND line I have also collected quite a lot of information regarding connecting families such as CABLE, SHEAD, PAGE (silk weavers Bethnal Green/Braintree) amongst others. "I can be contacted via my website: http://townsend.ecoda.co.uk - Click on the link to my name at the bottom of the page to contact me." "I visited Finchingfield recently as it is where my great-grandfather Arthur Townsend originates from. He sadly died in India as a young man, by suicide. "His father was Horace John TOWNSEND, born 1858 (died 1927 aged 66, and is buried in Finchingfield) and Horace's mother was Sarah Townsend, nee SAINS, b. 1825. "Here’s the rub: Sarah’s husband, James Townsend, had died a couple of years before Horace’s birth, so Horace is in fact illegitimate. I think she went on to have two more children in her widowhood, but whether or not they were from the same father no one knows. "I’m obviously very keen to find out who Horace’s father may have been so I can continue with the tree. Is there anyone who may know anything about Sarah Sains/Townsend and Horace’s father? "Also, the address was 93 Church Street, but this doesn’t seem to be on the current map – is anything known about this former location? The family was very poor, and Sarah is listed as a plaiter, and others in the census data as paupers." "I notice that in the Finchingfield directories of 1848 there is a Joseph LINSELL listed as a Grocer and Draper and a Straw Plait Manufacturer. I feel that this person must be an ancestor of mine, as my 4 x g grandfather Samuel Linsell, who died in the neighbouring village of Wethersfield in 1823, was a Grocer and Draper and his eldest son John Swan Linsell was a Straw Plait Dealer. Can anyone help me out with this hunch? Most of the family had moved to London by 1848." "I've recently confirmed that my great great grandfather Charles HAWKES was born in Finchingfield c.1834, the son of Shadrach Hawkes & his wife. "His wife, my great great grandmother, Emma ARNOLD, was also born in Finchingfield c.1835, the daughter of Edward Arnold & his wife Mary. "So far it looks like both Charles & Emma were only children. "I'd love to hear from anyone else researching the same families. I have a fair amount of information on Charles & Emma & their children after they moved to London, but, as yet, not much on them while living in Finchingfield." "I am looking for information on my GGGGrandparents who lived in Finchingfield in the early 19th Century. "William WHITE was a tailor and he married Rebecca PORTWAY who was supposed to be from the family that manufactured the 'Tortoise' Stoves in Braintree. The Portways apparently lived in a large property in the area. They had at least one daughter Sophia WHITE born c.1821 who married William HUMPHREY from Steeple Bumpstead where they lived. "I can trace the Humphreys on the Steeple Bumpstead Website but I am seeking earlier information." "I would like to hear from anyone who can offer information about the family of my grandfather Ernest MOORE who was born in October 1872. Ernest's parents were John and Charlotte (formerly GILBY) and they lived at 39 Broad Green, Finchingfield." "I am searching for the ascendents of George E. HALLS born about 1825 in Finchingfield. He married a woman named Susan who was from Chatham, Kent, England. George E. Halls was a rigger, in the Navy. He was living in Kent area in 1871. Does anyone know of any Halls families living in Finchingfield in 1820-30? Any help would be greatly appreciated." "I am looking for a family called WHENDAY. Harriett was born about 1849 in Finchingfield. She married George Goulds and was living in Hadlow, Kent in 1870. Can anyone help, please?" William b 1725? [died 1778] = Anne 1745? + Below this are Alan's children and grandchildren. "I have used the baptisms, marriages, and deaths of Finchingfield, Great Bardfield, Little Bardfield, Wethersfield, and Rayne. Also the 1821 draft census in Finchingfield and the 1831 and 1841 censuses there. As my part of the family went to Rayne, I used censuses there till 1871. I have also consulted vestry records in both Finchingfield and Great Bardfield. I would like to hear from anyone doing related research with a view to sharing information"
Added September 2006: Further to the above message Alan's brother Peter has been computerising Alan's data, adding a lot of census information and to date the tree covers over 1000 people. He can make this data available as a PDF file or as a "Family Tree Maker" file. "I am looking for information on Alfred PATIENT or PATIENCE. The former surname was used on the 1881 census, and by the family, but the latter surname was used on his marriage in 1872 in Loughton, Ex to Mary Ann MEAD. Alfred was born in Finchingfield (census info) in about 1844-46 his father (from marriage certificate) is given as James Richardson Patience labourer. I have found several persons with the Patient surname in Finchingfield and Braintree area on the 1871/81 census, but cannot pinpoint the birth of Alfred from birth records, so am not sure if they are related. Any information would be helpful"
"I am currently researching the KEMP family, that in the main originated from Toppesfield but also lived in surrounding villages, Finchingfield being one of them. I understand that there was a Kemp family that built Spains Hall. Does anybody have any information that may be of help?" "I am looking for any information on the family name of RIDGEWELL. I know that my Great Great Grandfather was James Ridgewell and his wife was Julie BAYNES. I have a lot of info on Julie but, to no surprise, I can not find info on James. Their son, David, was my Great Grandfather and I have information about him, but not about any other children. There was also an Isabel, but I'm not sure how she fits into the family." "The photograph has recently been passed to me by a family member. It is clear from the branch of the family from which it has come that it was either taken in Finchingfield or Wethersfield and is either of Ridg(e)wells or Bowtles. The date of the photograph is significant inasmuch as there is quite a difference in the ages of the two couples. "My first choice is that it is Charles and Mary RIDGEWELL who, in 1861 and thereafter lived at Corner House, Petches Bridge, Finchingfield and were born circa 1811. "It could possibly be John and Sarah BOWTLE, who lived in Wethersfield but were born in the 1770's and in their late 70's by 1851. "I find it difficult to gauge the ages of the couple but thought that someone might identify the property or have seen another photo of them. 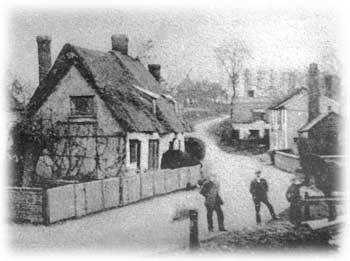 "In any event it is probably one of the oldest photos of the locality be it Finchingfield or Wethersfield. I shall be most pleased if someone is able to shed light on the matter." Richard COE, born Thaxted, m. Ann DIGBY in Finchingfield 1818. Son John COE m. Lucinda LEWSEY 1844 in Finchingfield. Son Frederick COE m. Emma RIDGEWELL 1864 in Finchingfield. Son Absolom (George) COE married Harriet BROYD/BROID/BROAD, 1885 High Ongar. Any help would be appreciated. John HITCHCOCK (son of James Hitchcock and Hannah ?). John was born c.1845 in Finchingfield, married Susan ? c.1865-70. His father, James, was born 1829 in Bardfield, he married Hannah ? born Finchingfield (?) c.1827. James and Hannah seem to have married in Braintree c.1842/44. "I have an ancestor Samuel CLAYDON who lived in Finchingfield in the 18th century. He was married to Giffey WYATT in 1770. They had 9 children all born in Finchingfield. Can anybody help me find out more about this family please? I have more info on the family since then, but not any further back." "I was stationed at RAF Station Wethersfield from 1961 to 1964. I am wondering if anyone can give me information about a family that lived nearby, by the name of BARRON - Dorothy and Ted. They had two daughters and two sons. They might have lived up the road from Finchingfield, closer to Great Bardfield. The name of their farm was Mandalay Farm." "My grandmother, Ellen GILDER, was born at Finchingfield c.1858. I believe she worked as a servant girl in London around 1881. She married my grand father George RATCLIFFE and my mother, the eldest child, was born in 1887. "I am 84 years old and hope to trace back my ancestry to leave to my great- grandchildren. Any help would be appreciated." "I am researching my family history and have found that my great great grandmother was born in Finchingfield. I would be grateful if anyone had any information as to whether they were a local family or just passing through. The family I am looking for is FEWELL/FUELL either spelling, both have been used on documents. William Fuell was a labourer, his daughter, Hannah, married William BRAZIER at the Parish Church in Halstead, Essex in 1844. I look forward tto hearing from anyone with any information." "I would love to hear from anyone with any information regarding births, marriages and deaths of the CHAPMAN family from Finchingfield." "I am busy compiling our family tree but am not getting very far on my mother's side. She was a CHAPMAN, born in Enfield, but her father was William Chapman born 1860 in Finchingfield. He married an Emma Gall b.1860 Norfolk; William Chapman's father was David Chapman b.1829 Finchingfield, he married Sarah .....? David's father was Thomas Chapman....? Any help would be appreciated." "I lived in lovely Finchingfield up to 1939, we lived in Bumpstead Lodge on the Spains Hall Estate, it was then only a small cottage with two bedrooms. We were a family of nine so things were a bit cramped, we had no running water inside so we got our water from a pump. The loo was down the garden. It was freezing cold in the winter so we all had terrible chilblanes on our feet and hands. Despite these hardships I look back and think what a great life we had there. We went to the village school. The head mistress was Mrs Wales, on the way home we often called in on the blacksmith. Mr Turner would let us pump his belows, he was also captain of the fire brigade and had his brass helmet hanging over his front door in Duck End. I remember such a lot of people - Joe Miles the head gamekeeper, the old squire Ruggles Brise in his pony trap who would give us some pennies, my brother and sister won the Kemp prize for the best scholars and had their names on the painted notice board which I believe is in the Guildhall." "Can anyone please help me find out about John PARSLEY born in Finchingfield in 1777. He married Sarah. That is all I know." "Would anyone know the where at Finchingfield my GGGGrandfather JOHN NICHOLS farmed around 1800-1810, please? "I am descended from his son Jonathan, bapt. 6 April 1806 in Finchingfield; his older brother Frederick NICHOLS, born 1799, owned the Parsonage Lane, or Daw Street Mill in 1822. "Family stories recalled from pre-War, when families 'talked', was of a wealthy man, a benefactor of the poor, who was also involved in milling. He married Sarah Rider at Little Chesterford 1 October 1793. Any help or information about this family would be much appreciated." "If anyone has information on the MORTLOCK family and is willing to share please contact me.....and yes we do have internet in Ghana!" "I am researching the DREW family from the Finchingfield, Steeple Bumpstead and Helions Bumpstead Parishes, and would like to hear from anyone interested in this family name." "Some of my ancestors where born in Finchingfield. The only information that I have is that a Samuel GREAVES (my gt.gt.gt.grandfather?) was born about 1797. He married Sarah HARTLEY. Her year of birth was about 1800. I would therefore assume they married about 1820, and they had a daughter named Kezia, born about 1832. All I know is that Samuel was born in the Finchingfield area. "I wonder whether anyone can help me with information?" "I would be grateful for any information re the SCOTT family. My great great grandfather James Scott was born in 1835 in Finchingfield. He married Phoebe PERRY (born about 1834) and my great grandfather Frederick Thomas Scott was born in 1856. Phoebe was the daughter of Sarah Perry (born about 1797 in Thaxted) and the sister of Emma (born about 1844), who married Charles SAINES (born about 1842) of Finchingfield. "When Frederick was about 14 or 15, he was working as a houseboy for the Smiths at Great Bardfield Hall." "I'm searching for an Ezekiel CLAYDON, who, I believe, died at Finchingfield sometime between 1780 and 1800. Any help would be very much appreciated." "I am a bit of a novice at the family history, but I know my great grandfather Zachariah Matthew WAKELING was born in Finchingfield on 1st April 1869. He travelled around Essex quite a bit, mostly in search of work, and produced several children in various parts of the county (notably my grandad William Curtis WAKELING in 1899 in Hatfield Peverel) before finally expiring in March 1932 in Colchester. "I also know that there was a family of Wakelings at Tile Kiln Farm in Finchingfield in 1881, and I am trying to find out if they are connected to my branch of the family. They were: David 53 (farmer); Hannah 46, (wife); James 21; George 19; Emily 18; Minnie 12; Ernest 11; Edward 8; Willie 7. "If anyone has any info on any of these I would be very grateful." "Josiah(s) LAVER b.1790s in Finchingfield, I think, married Frances HARRINGTON, b.1795-6, in Finchingfield on 16/3/1816. They had at least 2 sons, James and Josiah. "Can anyone please give me any more information. I can trace my ggg grandfather, James b.1826, to 1891." "I am trying to trace the ancestors of Hannah WALLAGE. This is her married name. She married William WALLAGE. Hannah was born in Finchingfield about 1796 and William was born in Hempstead abt 1795. They later moved to Steeple Bumpstead. "Can anyone tell me her maiden name? or anything else that would help my quest." "My gggrandfather William PHILPOTT, according to the 1851 census, was born in Finchingfield, was a police constable and was born c.1813. He married Anne CORNELL. She was born c.1816 in Sampford, Essex, but baptised in Finchingfield. Her father was Henry. I have just applied for the marriage certificate of William and Anne, hopefully giving me William's father. "I was born in London, attended school in Ramsgate, and I've lived in Toronto since 1966. My GGGGrandmother was born in Finchingfield in the early 19th Century, probably 1801 or 1805. Her Maiden name was Rebecca WENDON. She lived in Stratford, Essex as the wife of Walter HANCOCK (1795-1852), who was from Marlborough, Wiltshire. Walter was an early steam bus pioneer in London. Rebecca had family in Romford, Essex. Their only child Elizabeth Ann Wendon HANCOCK was born in Stratford and died in 1911 in Maidenhead, Berkshire, the wife of James Bennett. "I would be pleased to hear from anyone wanting to share information." "I would be interested in finding out information about the STOCK family. My Grandfather's name is George Albert STOCK, from Shalford. "His father, Edward Stock, and parents lived in Finchingfield. "His Grandparents' first names we do not have, but they lived in a thatched cottage in Duck End, seen on the left in this photo. "Any help would be much appreciated." "I recently began researching the STOCK family of Finchingfield and would appreciate any assistance that might be available. My entry point is John, born 1831. Any of his antecedents would add to my meagre knowledge." "My great great grandfather was William GILDER, an agricultural labourer, born in Finchingfield in 1825/6. 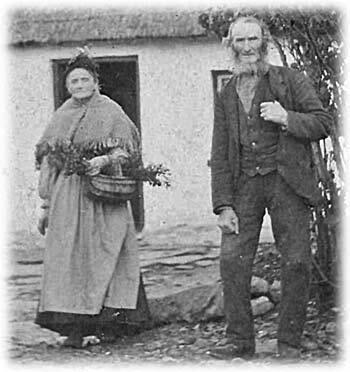 In 1845 he married Ann SAUNDERS who was also born in the village. I am looking for any information regarding their ancestors. I know that on the 1851 census they were living next door to a Henry Gilder and family who may have been his father (no specific address on census). "I also have a great great grandfather William HEARD, an agricultural labourer born in Finchingfield in 1815/16. He married Jane MOORE who was also born in the village, but I have not found any record of their marriage. In 1851 they were living at Cottons (?) in Finchingfield. I have been unable to find any information on William Heard's ancestors and would appreciate any help." "I have family from Finchingfield way back when.....They are named BUTTLE, HALLS, TURNER and WILLIS. The Buttles were also in Little and Great Bardfield and Little and Great Sampford. Any information would be greatly appreciated." "John FROST was born 1845 in Finchingfield. His wife was Theodosia CLARK born in Orsett/Grays, Essex in 1852. John's mother and father were Amelia FRENCH born 1822 in Finchingfield and his father Richard born 1817 also in Finchingfield. "Anyone having any further information - could they please contact me." "I am looking for ancestors of Robert DAVISON in Essex. He was born in 1805 in Toppesfield, Essex and was transported to Sydney, Australia in 1827. His father was John DAVIDSON ? born about 1770-80; his mother was Hannah JACKSON born about 1770-1780, Essex. Any help would be appreciated." "I have recently found that my gt gt grandfather came from Finchingfield. He was John MEAD born 1847. "In 1871 he was living in Little London, Finchingfield, his wife was Mary, they had a daughter, Emma, and two sons, William and Walter. "In 1881 John had a different wife by the name of Alice and there is another son Henry, who is my gt grandfather. John was a horseman on a farm. "In 1890 another daughter was born, Florence. At some point after that they moved to Braintree. "I would like to know if anyone has any more information on the family." "MARTHA BROID, JOHN CASBOT, WM. CLAYDON, ELIZABETH FITCH TURNER, JOHN TURNER, MARY DACE, ELIZABETH BIRCH, JOHN FROST, JAMES METSON, JOSEPH LEVI METSON, ELIZABETH JELLOP, GEORGE MARTIN, ELIZABETH MARTIN, PETER SMITH, ROBERT SMITH, CHARLES SPILLMAN, THOMAS LANCASTER, FRANCES HARPER, SARAH MYNETT, ANN BAILEY, HENRY SAINS, JOHN PEACOCK, EDWARD SUCKLING, SAMUEL HAWKES, SAMUEL BOTT DAVEY, HENRY JACKSON, WILLIAM THURGOOD. "I have a few questions: Daniel Faircloth 1681-1761 Finch. Birth and Marriage record? "Sir Thomas ALLEN, whose family originated in Thaxted, married Mary Fairclough of Fairclough Hall, Bedfordshire. They are ancestors of Thomas JEFFERSON, 1743-1826. Her brother Lawrence Fairclough (1557) was a well known puritan minister in Haverhill (he lived in Kedington, Suffolk). "The Sible Hedingham line is descended from his son Samuel, 1594-1677, Stowmarket. It would appear that most of the E and SE branches of the family are descended from this line, while the huge Lancashire branch is descended from Sir Lawrence Fairclough (1434 Shelvington), a 3xgt. uncle of Samuel (1594). and Hedingham lines. If anyone can help me out with info pre 1780, I would be very grateful. Of course, I would be happy to exchange information with other resarchers. "I'm trying to trace the FAIRCLOTH family who I know lived in Finchingfield from at least 1770 to, I hope, the present time. Any help will be most appreciated." "I am looking for information and descendants of the THORN family. My great-great grandfather was Arnold Thorn born 1843, and his parents were Joseph Thorn and Sarah BUNTING, born 1818 and 1817 respectively. Jospeph was a shoemaker in 1844, then in 1871 he was a beerhouse keeper at 7 Habbals Road, Finchingfield. Arnold's brothers were Daniel Thorn and George Thorn. "I have discovered more members of the Thorn family in the census going further back but at the moment am unable to make a definite connection with these people. "I look forward to hearing from anyone with information." "John, b. abt 1788 in Finchingfield, m. Amelia TRACY of Layer de la Haye, Essex. John Hart is listed as a farmer on Yeldam's farm in 1841 and 1851 census. "Children of John and Amelia Hart: James, b. 15 July 1818 Great Bardfield or Finchingfield, depending on census; Elizabeth b. Finchingfield about 1825 and Sarah A., b. Finchingfield about 1827. "James Hart m. Charlotte Jane Moye of Barrow, Suffolk, 18 Dec 1855 at Groton. "Children of James and Jane: Eva Jane, b. Finchingfield abt 1859; Agnes Hue, b. Finchingfield, 4 Jan 1862; Percy John, b. Finchingfield in 1864; Lillian Marie, b. Finchingfield 21 Jan 1865; Harold James, b. Arborfield, Berkshire, 1870; Frank, Charlotte, and Gwen. generations.' Really? Where was Hart's Farm, who were the Harts that lived on it, and how they are related to John and James Hart above? How, if at all, are these 18th century Harts related to Mattias Harte, who was a constable in Finchingfield in 1626-1634? Where might I find non Catholic Church records pertaining to Finchingfield in that interval of time?" "I have just begun to trace my Mother's family history. "One track I have found is that my maternal grandmother, whose maiden name was Alice Maud TURBIN mentions in a diary that her Grandparents (I am assuming the family name is GILDER) are buried in the cemetery at Finchingfield and that the grave is dated 1908. Nana also says that her mother grew up in Finchingfield - I only know her name as Eliza GILDER. Eliza married William TURBIN and moved to Little Bardfield in Essex where my Alice Maud was born in 1896. "I would be interested in any information about either the TURBIN (or, perhaps, TURPIN) or the GILDER families." "I am researching the METSON name and variations - MITSON, MIDSON, etc - living in North Essex/ South Suffolk area including Finchingfield, Wethersfield, Toppesfield, the Bumpsteads and Stoke by Clare. I have data available to share from 1700 to 1900 plus 20th century for some branches. Also some UK wide data and information about RAWLINSONS, BROYDS and FAIRCLOTHS." "My family originate from Great Bardfield but start with mysteries and then get worse. The oldest metion I can find is of Hannah WIBROW being the mother of Charles b. 11 January 1819 in Great Bardfield and then that Charles was married to Hannah unknown in 1840 in Dunmow District (?Great Bardfield still) They had six children all baptised at St Mary's church Great Bardfield. I am a direct descendant of the oldest son of Charles and Hannah, namely William b. Great Bardfield 1848. "My problem is that the LDS site shows the baptism of Charles but only shows Hannah Wibrow present. I don't know her birth name, if different, or her husband's name if she was married..
"In 1861 they were living at Dunmow Road and he was an agricultural labourer. The same in 1871. "In 1881 Charles was living in the High Street, next door to the Hope Tea Rooms. "I would love to find out who the original Hannah Wibrow was and also who the Hannah Unknown was who married Charles. "Their children, by the way, were variously spelled WIBROW, WYBREW and WHYBREW - the name that outlasts the others. "I am the great great great grandson of Hannah Wibrow. Any help would be appreciated." Added April 2007: Mike Rumble writes: "As a youngster in the sixties my parents often used to drive over to Finchingfield for a day out and I have many memories of picnics in the area. "I'm currently researching the HAYWOOD family (also HEYWOOD and HAYWARD as they couldn't make up their minds on the spelling) in the Finchingfield area from the early to mid 1800s. "In addition, I have some information about the CRACKNELL, DREW, FEWELL and GILBEY families where they join up with my ancestors. "I would be glad to hear from anyone who knows more about any of these families and I'm very happy to share what I've discovered." "I'm researching the SMEE families who were in Finchingfield and the surrounds from c.1745, but am especially puzzled by the WASH / THURGOOD / THOROGOOD Relationships? "Extensive information is available, please email me." sp. o. t. p. on 25 Dec. 1759, then his son Thomas 1764 buried at Little Sampford followed by his son David, also living in Little Sampford, and continues through Northampton, Leicester and Yorkshire. "A Digby contact's earliest known relation also hails from Finchingfield, starting with a Thomas b.1741 who married a Susanna RICHARDSON. His lineage runs through to an Arthur b.1861 married to Betsy Mary Phoebe STANFORD, (see 1924 photo, right) both interestingly buried in Tottenham Cemetery! "Any help with corroborating and filling out my family tree would be appreciated. I can also pass on messages to my contact." Joseph DIGBYE born about 1670 at Finchingfield? Married Mary TRIGG. They had a least 4 children including Joseph Digby (1716). Joseph DIGBY born about 1716. Married Sarah SUCKLING at Finchingfield on 25.12.1759. They had 4 children including Thomas Digby. Thomas Digby born about 1764 Finchingfield. Died 2.5.1844 Little . Married Elizabeth WAKEFIELD. They had 7 children including John Suckling Digby. John Suckling Digby b1790 Finchingfield. Married Catherine LANDERS. They had 9 children including George Digby. George Digby born 1.6.1829 Finchingfield. Died 1.10.1910 Dagenham. Married Emma DEATH. They had 8 children including Walter Harry Digby. Walter Harry Digby born 21.12.1864 West Tilbury, Essex. Married Ellen Mary Snowden. They had 6 children including George Walter Digby. 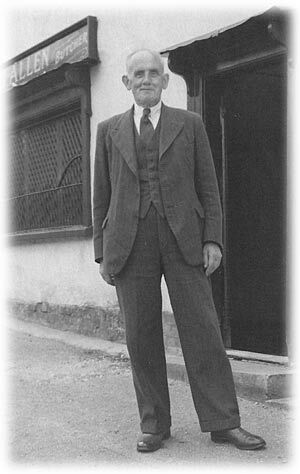 George Walter Digby born 7.9.1884 Mistley. Died 8.5.1973 Ickleford, Herts. Married Lillian Mary Wynne. They had 4 children including Bernard Percy Wynne Digby. Bernard Percy Wynne Digby born 21.2.1915 Hatfield, Herts. Died 14.12.1964 Hitchin, Herts. Married Margaret Hilda Andrews. They had two children including Pauline Margaret Digby. Pauline Margaret Digby born 1947. Married Peter Dawson born 1947 and we have one daughter called Debra Lorraine Dawson born 1976. "I would be pleased to exchange information with others researching the Digby line." "I think my FORD ancestors were Agricultural Labourers at Boyton Hall / Spains Hall in the years 1760 - 1850. Any help tracing the Ford line, especially between 1700 and 1800, would be appreciated"
"I'm researching the SALMON Family from Finchingfield, Felsted and Great Bardfield, Essex. Would love to hear from anyone who is connected. Related surnames I have discovered so far include... FITCH, HAWKINS, HARRINGTON, TURNER, BRETTON." 1830, although throughout her life there seem to be changes in how old she was, possibly because of an"early" marriage, so it could have been in 1833. Her parents were William SALMON, born 1792, Finchingfield and Mary Ann WHITE, born 1789, Wethersfield, where they married 21/10/1814. They also had Joseph (1815), Alfred (1817), Manasseh (1820) and Marianna (1823). Mahala emigrated to Australia in 1854 and died here in 1883. Does anyone have any information about her?" "I am researching my family names - CHOAT, SUCKLING, SMITH and BARNARD. "George SUCKLING (born 1891) who married Ida CHOAT (born 1891). The Choats worked and lived at the Fox Inn in Finchingfield. "Edward SMITH (born 1845?) and Emily BARNARD who lived in Great Bardfield and, I believe, for a short time in Clacton. 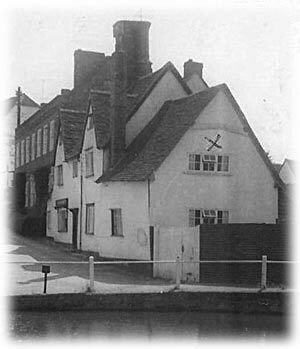 Edward SMITH was a brewer and corn merchant who I believe owned some local public houses including the Swan at Thaxted. Following Edward Smith’s death, Emily Barnard married Philip (Pop) Bone. " Susan Anderson writes: "I am researching the surname FOSTER. Ebenezer Foster was living in Finchingfield with his family in 1901; they had moved from Sampford. I am seeking descendants for family research. " "I am trying to search for any info about my gt. gt. grandmother Sarah STAMMERS. She was married to William TILLBROOK on 29 June 1824 and she died prior to 1832 when he remarried Elizabeth CLOUTARE? She was mother to 3 children namely William, John (my gt. grandad) and Elizabeth. I believe her father was Joseph and mother was Sarah? as I found a baptism record for 1800 which I think may be her. I am also researching the names TILLBROOK, TOWNSEND, OWERS and MARTIN. Any help would be gratefully recieved." "I am researching the THORN(E) family. My great grandmother came from Finchingfield but her family appear to have had an equally large presence in Great Bardfield. Both branches were, in the main, thatchers, boot makers or coach builders. I would be grateful to receive any information." Clif from London writes: "I am trying to piece together a WALFORD family tree...my earliest is a Giles Walford c.1540-1625...but it appears his first few children were born at Waltham (Pava? )...then Finchingfield. I would appreciate any Walford info available." "I have just found a family connection to Richard MARRYOTT (c 1626 - 1703) where it was stated in the British History Online website that he was associated with Finchingfield, Essex and Worlingworth, Suffolk. He was evidently "a figure of some standing" "whose career as accountant and estate agent included senior appointments with the Duke of Norfolk, the Council of Queen Catherine of Braganza, the Bedford Level Corporation and the Duchy of Lancaster". "The BHO gave the connection with Solomon MARRIOTT (c 1770 - 1840), an ironmonger of Knightsbridge, who currently is the earliest member on my maternal family tree. Solomon MARRIOTT's eldest son was Thomas Weatherley MARRIOTT (1792 - 1857), who with a partner established Montpelier Square in London. I would greatly appreciate hearing from anyone directly connected with the MARRYOTT / MARRIOTT line or anyone with information that can assist in linking any of the intervening generations." "I am looking for any information referring to Elizabeth BARNARD born 1763 in Finchingfield. She married Edward HIGHAM from Faulkbourne in 1793. They may have been married at White Notley? They had a son, Joseph Higham born 1798 Faulkborne, who married Elizabeth Ann BEADLE in 1825 at White Notley. Elizabeth was born 1803 at Fairstead." "I am researching the SHEAD/SHED family in Finchingfield and would like more information on them. I am interested in Peter Shead b.1839, and his parents James and Matilda Shead, married 1825 and their ancestors. I would like to contact others researching the same family." "I am looking for information on my great grandfather, John MOORE, who was born in Great Bardfield in 1835 or either side of that year. He emigrated to Australia and started a family here, marrying a lady called Lucy Ann WALSH who was born in Madras, India. I think he had a brother called Michael and maybe one called Henry who may have come with him. " "I wonder if anyone has any information on the SWANs who lived in the village. I have found a Ronald Swan in the parish register born in 1902 and died in 1902 at five months. Any information on his parents, etc would be much appreciated." "I am trying to trace my ancestors. My mother was a LEWSEY, her name was Winifred and was born in 1913 in Maldon. I have traced her back to Robert Lewsey born 1783 or 1786 who lived in Little London and was born in Birdbrook. He was married to Mary and was an agricultural labourer. Any information would be most welcome." "I'm researching a Thomas WAKEFIELD who married an Ellen KAIN, KANE or KAEN - bit of a confusion over her surname. They were both born in Finchingfield in Thomas's case about 1793/6 and Ellen about 1798/1801; they married in Finchingfield about 1825. "They had three children, to my knowledge all born in Finchingfield. John in 1827 (at which time I know his father to have been a mason) Ellen in 1831 (when Thomas is recorded as a bricklayer) and Thomas in 1835. By the 1841 census all of the family are living in Shoreditch, London and Thomas is again recorded as a bricklayer. "I would be grateful if anyone is able to supply me with more information on Thomas and Ellen's background or families"
"1861 Census: Alice age 6; father George (age 34 working as a farm bailiff); mother Belinda (age 30); brother Christopher (11); baby (10 months). 1871 Census: Alice age 17; living at Faslow farm. 1881 Census: no mention at all. 1891 Alice and Arthur married (Liverpool 1884) with 2 children Florence and Frederick. Florence is my great grandmother. "Can anybody fill in any gaps please?" "I have a photo taken in 1968 on which my father has marked a cross in the upstairs window of the house by the pond and noted on the back of the photo as 'room where my father was born 24/11/1878'. I also have a photo of my grandfather standing outside the same house in 1950 with a sign saying Allen, the butcher. My father's name was Barnard Turner. "I would appreciate any more information anyone may have on the family or the house." There are more pictures of the old workhouse on another page - click here. "I'm intested in some Finchingfield info on the descendancy of Josiah JACKSON born there about 1855 (possibly as son of John & Augusta Jackson). He died April 6th 1927 at Cornish Hall End in Essex. His wife is my connection and she was born Rebecca Alice FORMAN (Alice) born 1857 in Bromley, died January 15th 1943. Had one son that we know of, John William, born June 1885 in Steeple Bumpstead, Essex, died January 8th 1935 in Essex. He married and had at least one son. "Any info on any of these would be greatly appreciated?" "My mother's maiden name was HURRY and it appears that my GG Grandfather John Hurry was an agricultural labourer in the village in the 1871 and 1881 census. He was actually born in nearby Toppesfield, and he married a Finchingfield girl - Jane HARDY. They appear to have been illiterate as their marriage certificate is signed by a X - I can't find them in the 1891 census.
" 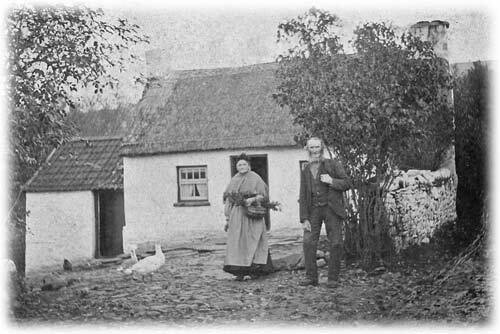 In 1871, they lived in Scots End cottage - I would love to know whether this still exists. In 1881, they lived in Broyds Green - I wonder whether this is linked to the BROYD family that is mentioned above, and whether the address still exists.
" I would be really grateful if anyone has any information about the farming community during that time - I think they must have moved around a bit as one of their children was born at Wethersfield (unless that was an unlucky accident!)" "I am trying to find any information on my Father’s side of the family. The GOLDSTONEs can be traced as far back as 1770 in Wethersfield, Great Bardfield, Finchingfield and Great Yeldham. My 3rd Great Grandfather Thomas Goldstone, born 1808, was a Harness & Saddle Maker. He married Catherine SMEE and his son William was born in 1839 and married to Hannah Jessie BOMAN. He was a Master Harness and Saddle Maker as were many of their relatives. Yet I cannot find any information about them on any of the Local History sites. I have photos of both of these men but I would love to find a photo of them at work. 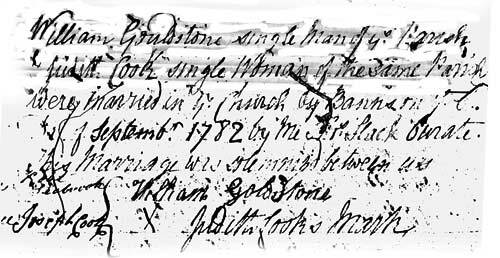 "My connection with the COOK(E) line is from Judith Cook/e (1760-1829) who married William Goldstone (1762-1844). They lived in Great Bardfield and had at least 8 children. Her first child she called William Cook as they were not married, it was not long after that they did marry and from then on her son was named as William Goldstone. I don't know Judith's parents." "I am researching the SUCKLING family. My 3X great grandfather Edward Suckling moved to Finchingfield with his wife Sarah about 1818 after having 4 children in Romford. They then had Sarah, Jane, Martha, Elizabeth, Edward, Helen, Robert and John who were all born in Finchingfield. I believe that his father William was born in Finchingfield around 1745 and returned there after the death of his wife Martha in Romford to die around 1808. "I do have quite a deal of research that I can make available to those who are interested and would appreciate any information that I may get from other researchers." "I am researching the DOE family from Finchingfield. They are the ancestors and descendents of William Doe 1738 -1814. I am particularly interested in any information about the BANKS family. Rebecca Banks married John Doe in 1799. I believe her to have been born around 1779 but can find no record of her birth or parents. The marriage details show her as a spinster of the parish. "I am also interested in why some of the family may have moved from Finchingfield to Kent in the mid 1800's.Was there perhaps a lack of work ? "Any information would be much appreciated." "I am searching for a long 'lost' relative....my uncle Harold George CHILLINGWORTH born 6th April 1921, Silver Street, Wethersfield. His birth was registered in the sub-district of Finchingfield on the 10th May 1921. I wonder if anyone could give me any pointers in this regard." "I am researching the SAVILLE family, Finchingfield for my daughter-in-law. Thomas Saville born abt. 1843 in Finchingfield was her 3x removed great grandfather. He was married to Esther R STREET. I am trying to go back in time and wonder if anyone out there knows Thomas’s parents name?" Peter Tranter would like to hear from anyone who can give him information about the history of his house - HILLCREST, located on the outskirts of the village on the Wethersfield Road. Julie Airey is researching the Townsend family (see above) but is also interested in the history of where they were living in during the 1880s - CHAPEL END HOUSES. Helen Simister is researching the history of PILGRIM COTTAGE, Howe Street. Originally built as two cottages in 1698 and now joined as one. Brian Skingsley is in the process of researching his family tree and has found that a distant relative is James OVERALL who comes from an old finchingfield family. In the 1870s he is shown as living, along with his family (and others) at HALFWAY HOUSE. Has anyone any info or pictures of this building/place? Last updated 23rd July 2017.